Fly into San José, the capital of Costa Rica. There you will be picked up from the airport and brought to the Holiday Inn Escazu, a stylish and contemporary city escape to start your honeymoon adventure. 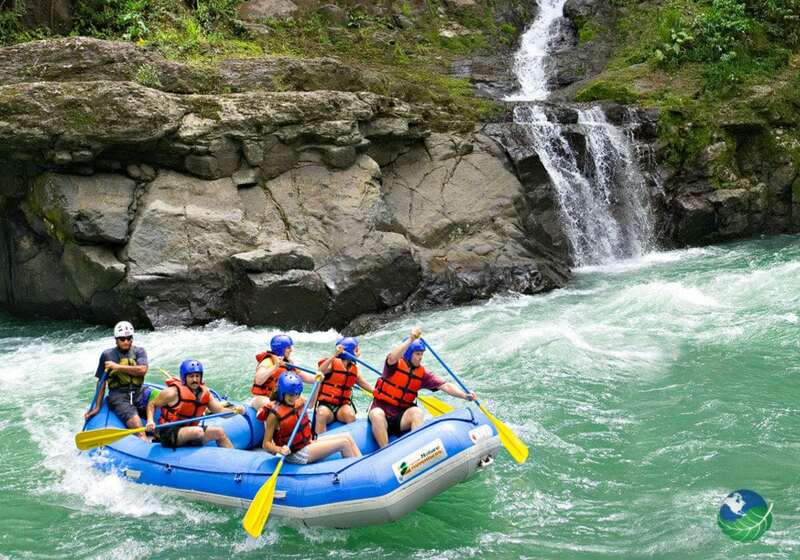 You will be picked up early in the morning from your hotel and returned to the Pacuare River, one of the top five white water rafting rivers in the world. 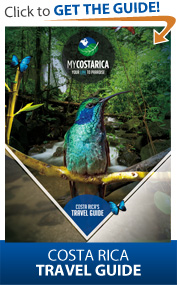 There you will start your adventure, going to your hotel, the Pacuare Lodge, on a raft. You will experience some exciting rapids before arriving in your fabulous honeymoon suite. 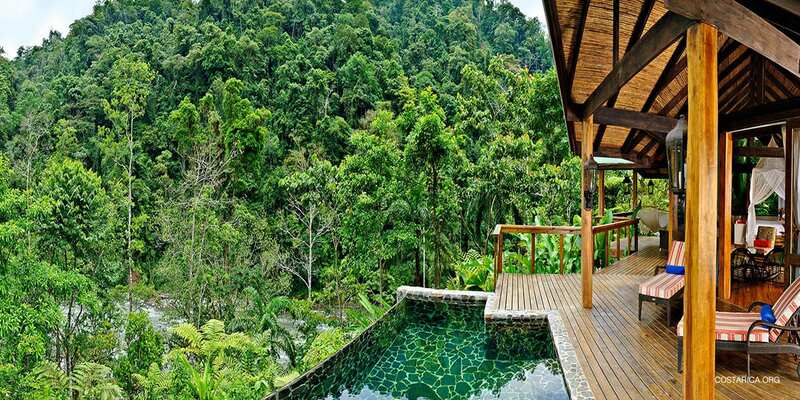 Surrounded by the exotic jungle, you will have your private spring water pool. In the evening you will be surprised by a romantic dinner, a perfect start to your honeymoon. 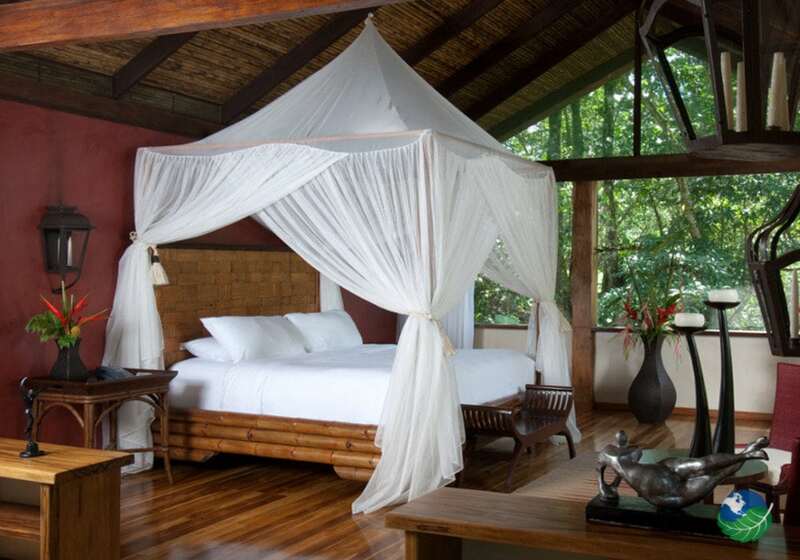 Wake up to the sounds of the rainforest and the river. Enjoy this unique surrounding on your private sundeck. Today you will plant a tree together which will be a perfect memory of your honeymoon time and at the same time help reforestation and support a local school. Relax in the afternoon as you enjoy a basaltic hot stone massage, giving you renewed energy. In the morning you will leave this unique paradise by making another exciting white water rafting trip. You will have a lot of fun as you experience more challenging rapids. You will have a stop at the river to enjoy a tropical lunch. 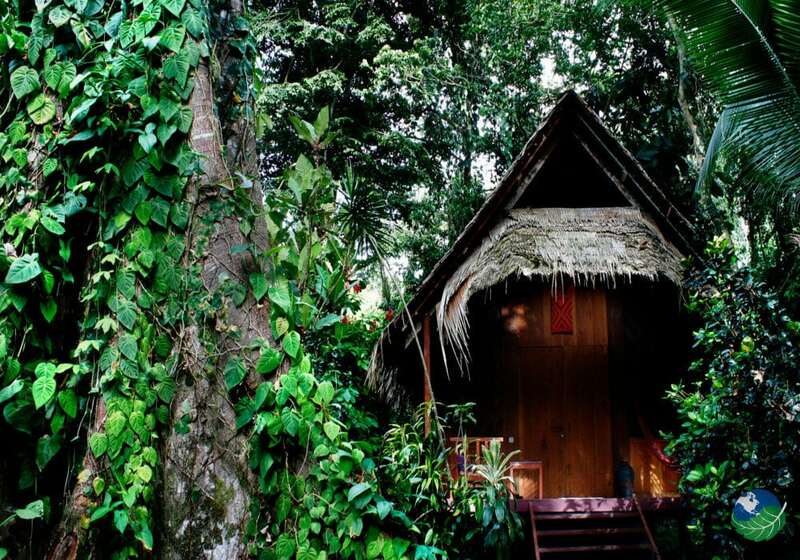 After this adventure, you will be brought to the Caribbean where you will stay in the beautiful jungle bungalows of Shawandha Lodge. Get ready for your jungle adventure! Starting in the morning with an ATV trip to the Carbon River, there you will start an exciting hike through the amazing landscape, crossing a hammock bridge and using canyoneering equipment for some parts. You will also have the possibility to swim in natural pools and end with a rappel down a waterfall. Your next adventure will be tree climbing to reach a platform from where to start a canopy tour. You will also have lunch up in the trees before doing the exciting Tarzan swing and return on the ATV. After so many activities, it is time to relax today. Enjoy the Caribbean sun and the tropical surroundings on the nearby beaches, swim in the Caribbean Sea, take a surf lesson, go for a spa treatment, or simply sit under a coconut palm and drink a cocktail! 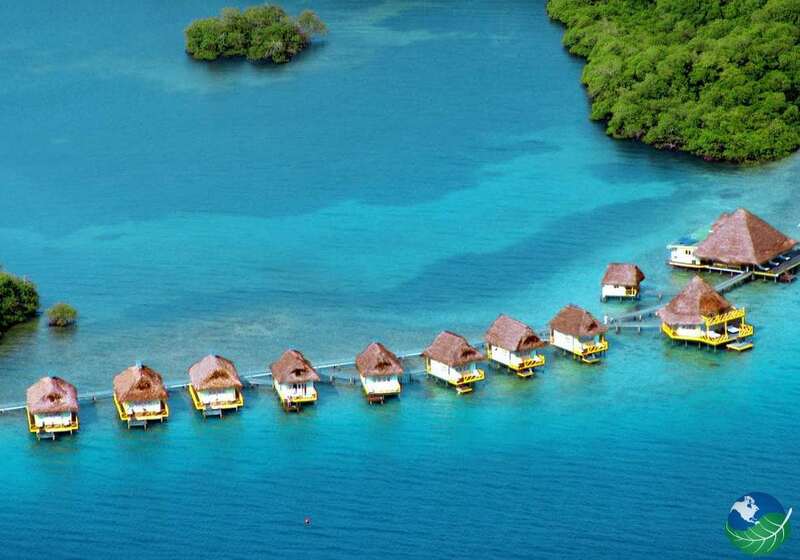 Time for another adventure as you start in the morning your two-day trip to Bocas del Toro, Panama and stay at Punta Caracol. After a bus journey through the picturesque countryside, you will go on a speedboat to the Island Colon where you will stay in a three-star hotel. In the afternoon you have free time to explore the island or the charming little town. A guide will take you on a snorkeling trip to clear waters at Dolphin Bay and other spots, where you will be able to see a vast underwater world. Next stop will be the emerald-colored Crawl Cay where you will have a delicious lunch before returning to Costa Rica. You will stay another night at Shawandha Lodge. It is time to say goodbye to the Caribbean and take a transfer back to San José where you can explore the city in the afternoon. There are different options such as visiting museums, a market or the shopping streets to get some souvenirs. 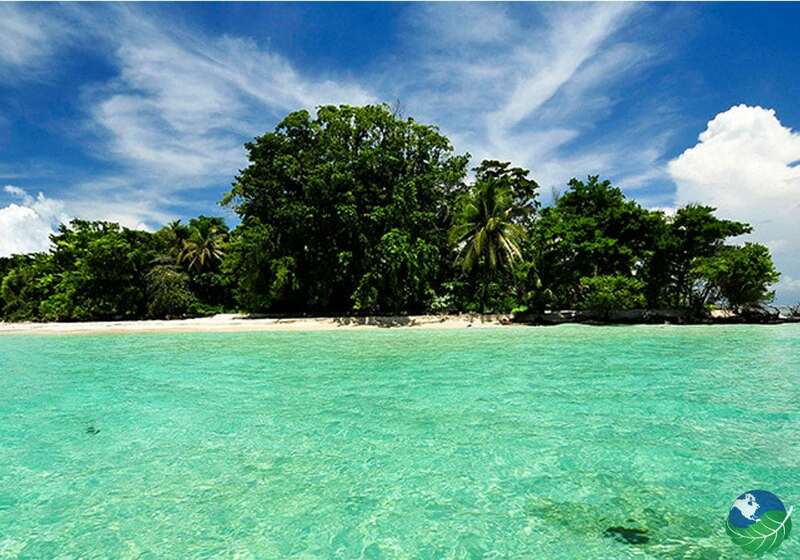 There are also some large, shady parks to have a romantic walk on your last day in paradise. You will stay at the modern Courtyard by Marriott, close to the airport. You will be picked up from the Hotel and brought to the airport where you can catch your flight back home, taking some unforgettable memories with you. Escazu, San Jose. Pool, Restaurant. A/C, TV, Internet access / Wi Fi, Phone, Safe Box, Private Jacuzzi, Coffee Maker, Hair Dryer. Laundry Service.